Paweł Adamowicz in serious condition after thousands of people witness apparent assassination attempt. 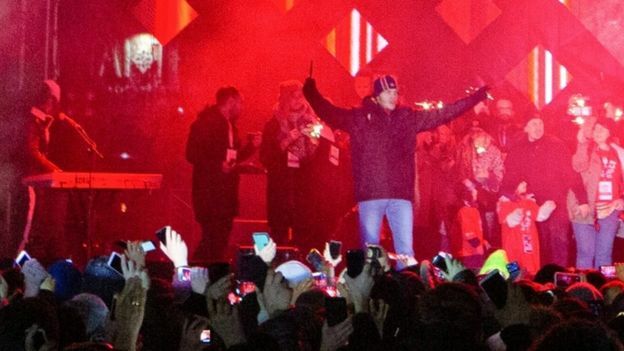 The mayor of the northern Polish city of Gdańsk, Paweł Adamowicz, was stabbed on Sunday evening in an apparent assassination attempt in front of thousands of people during a charity concert. 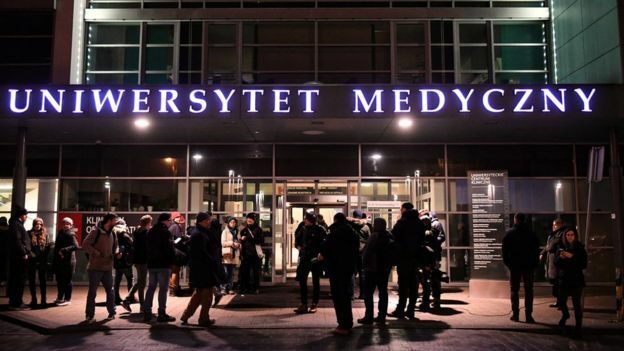 Adamowicz, who has served as mayor of Gdańsk since 1998, was resuscitated at the scene and rushed to a nearby hospital where he underwent surgery. Doctors described his condition as “critical” and “serious”. 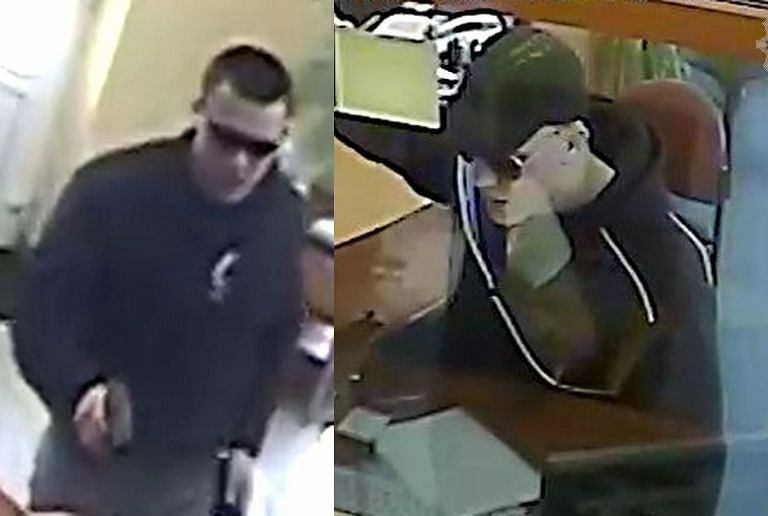 Polish media reports quoting police sources have named the alleged assailant as Stefan W, a 27-year-old from Gdańsk with a record of violent crime. Polish law restricts the surnames of people accused of a crime being reported. Adamowicz was a member of Poland’s pro-European Civic Platform, which governed Poland between 2007 and 2015, before leaving the party to fight local elections as an independent. It is understood that Stefan W was convicted of a series of violent assaults and sentenced to prison in 2014. The fact that the assailant was able not only to gain access to the stage and to attack the mayor but also to address the crowd in the aftermath has raised serious questions about security, which was provided by a private firm. The attack happened during the culmination of the annual Great Orchestra of Christmas festivities, a nationwide charity drive for equipment to treat children in state-run hospitals. The charity has raised more than 951 million zloty (£200m) since it was founded 26 years ago. Concerts were being held for the charity across the country. this is terrible and I am shocked. I did not know that this happened but I saw the aftermath of the comments among my Polish friends and I did not know what it was about - that there is a new low in the country. I showed what I could find and like you said this guy wasn't innocent. He held some grudge towards the mayor, but I read that he had a history of violent crimes. I found the video, but do not understand Polish so I didn't knew what he said. I read that he made some statement on stage after the stabbing, before these guys grabbed him and worked him to the flour. Like you I see this as a terrible incident and have zero sympathy for the attacker. Whatever his motives are. It is schocking indeed! Watch this link of the BBC please with the video: The video shows a mother who was in the audience, her child (daughter) said; 'The Mayor was finishing his speech, and we started the countdown, and my daughter told me after a while "Mom, look, that man has a knife, someone has a knife.' The police woman says: "The most important thing for us is to know how this individual found himself so close to the mayor." The mayor of the Polish city of Gdansk has been seriously injured after being stabbed on stage at the country's biggest charity event, officials say. He said the Civic Platform party, which led the previous government and had supported Mr Adamowicz's re-election, had wrongfully imprisoned him. Mr Adamowicz suffered very serious abdominal injuries during the attack. During a five-hour operation, the mayor was given 41 units of blood. "He remains in a very, very serious condition," one of his doctors said early on Monday. "The coming hours will be decisive." In a later update on his condition, doctors said Mr Adamowicz was not breathing on his own and a machine was helping to operate his heart and lungs. Television footage showed the suspect, who was released from prison recently, shouting "Adamowicz is dead" and claiming he had been tortured in prison. Polish police said he had access to the stage using a media badge, and they are now investigating how he obtained it. Polish broadcaster TVP reported that he had been released from prison in December. President Andrzej Duda said he was informed that "doctors succeeded in reanimating the heart of the seriously injured mayor". "There is hope but his condition is very difficult," he said on Twitter, calling on people to pray for Mr Adamowicz. Doctors said his heart was wounded, as was his diaphragm - the muscle between belly and chest which we use to breathe. Mr Adamowicz is a native of Gdansk, and has been its mayor for 20 years. A graduate of Gdansk university's law school, he is married to a professor there, and the pair have two daughters - one a teenager and one under 10. His wife was in London at the time of the attack and Poland sent a government plane to bring her home, Polish media reported. His self-written online biography says he helped to organise student strikes in 1988 - a year of mass nationwide strikes against the communist government. Poland would declare a new democratic republic a year later. In 1990, he became a city councillor for Gdansk, rising to mayor of the city in 1998. He has held the office ever since. His most recent victory was in November, granting him a sixth term which is due to run until 2023. Blood donors lined up to contribute after news of Mr Adamowicz's massive blood loss were reported. The stabbing, during an event that raises money for children's hospitals, has shocked Poland, the BBC's Adam Easton in Warsaw reports. Moments before the attack, Mr Adamowicz posted a picture on Instagram from the stage of the event, where dozens of people were holding white lights. The popular mayor, a former member of Civic Platform, is seen as a liberal voice and has supported rights for minorities. Interior Minister Joachim Brudzinski said the attack was "an act of inexplicable barbarism". Prime Minister Mateusz Morawiecki said on Twitter: "The attack on the life and health of Paul Adamowicz is worthy of the highest condemnation."